It's official: Spring has sprung. We're shaking off our winter blues with a few of our favorite cocktail recipes that are the perfect way to kick off patio season. Hijack a warm-weather classic with this delicious twist featuring Belle Isle Premium Moonshine + coconut water. Take the hassle out of Happy Hour with this simple + tasty tropical cocktail. 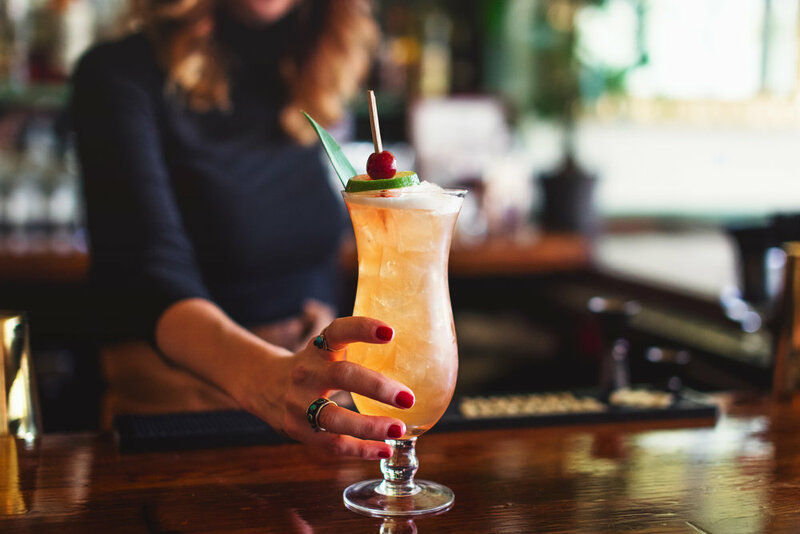 Kacie's creation at Laura Lee's uses Belle Isle Cold Brew Coffee as an update to a tiki classic that's worth the trip to her bar. This delicious combination of Premium Moonshine, grapefruit, and rosemary is as pretty as it is tasty. This one's a little complex, but worth the payoff. Check out Tommy of Sabai's incredible pawpaw infusion with Belle Isle 100 Proof. Want more recipes? We've got you covered.